The FC Barcelona Soccer Camp is a unique and exciting opportunity for teens to experience specialized soccer training through an official partnership with the world?s most successful soccer team and their expert coaches. In addition to this, participants will enjoy doing soccer workshops, sightseeing city tours and visits to amusement parks! FCBarcelona Soccer Camps are the best way to feel like a FCBarcelona player by training under the most successful training methodology! This training program allows participants not only to discover new techniques but to improve their mental and physical skills. Bilingual English - Spanish FCBarcelona coaches will guarantee to participants a total comprehension of these exclusive training sessions; they will perform the same training methods they apply on their youth categories teams. Spaces: Limited to 60! Hurry up and save your space! 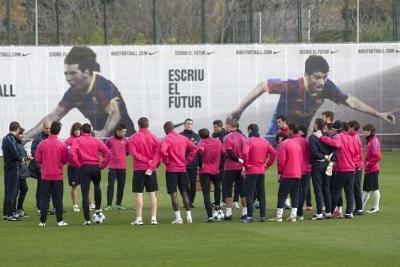 Venue:FC Barcelona Official training facilities.